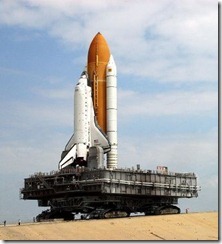 Roof Coatings - Do They Work Well? Do They Save Money? Roof Coatings – Do They Work Well? Do They Save Money? 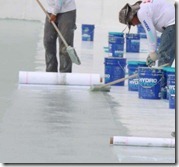 Home/Roofing/Roof Coatings – Do They Work Well? Do They Save Money? Do roof coatings work well & save money? For low-slope roofs (the technical name for what most people refer to as a flat roof or a commercial roof) that have already started leaking, may not be in the best of shape, or don’t have the best drainage, the most accurate answer is “it really depends”. Some low-slope roofs will benefit from application of professional quality waterproofing roof coatings, but there are a number of important criteria that will affect whether it’s a cost-effective way to extend the life of a roof or just a Band-Aid for which the money spent would have been better put towards a new roof instead. 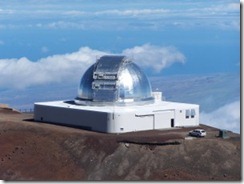 Are roof coatings waterproofing or just reflective? It may be a surprise but the assumption that all roof coatings are waterproofing is incorrect. While manufacturers of professional quality roof coatings offer products that are both waterproofing and reflective, most roof coatings sold in big-box home improvement stores are only reflective coatings even they are often marketed as waterproofing. If you review the manufacturer’s website closely, particularly their “tech data sheets”, this fact will be called out. Unfortunately, this information is usually not clearly spelled out in the advertising or labeling on the containers. But once you see the tech data sheet you get the whole story. The very first instruction for application is to seal any leaks before application. Obviously, this is not a waterproofing coating. Locating and sealing leaks individually on even a small low-slope roof is a time consuming job and is certainly likely to be less than 100% thorough. Having to do so at all greatly offsets a primary benefit of a roof coating, namely being able to cover the entire roof thoroughly so as to avoid missing individual leak points. While reflective coatings are much more energy efficient than a black roof, used alone they won’t stop leaks larger than hairline cracks or pinholes any more than most latex paint. Good roof coatings are fully reinforced. 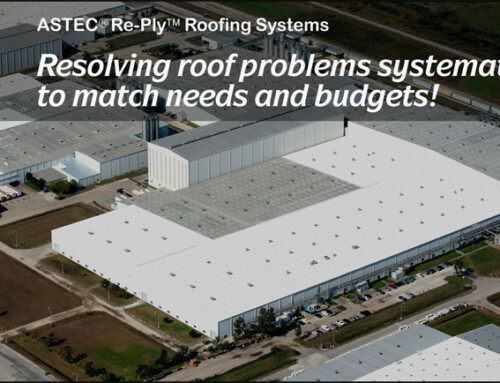 Reinforcement is a layer of polyester fabric embedded in the roof coating that gives it the strength to bridge seams, splits, blisters and the expansion and contraction stresses that the roof coating film itself cannot withstand over time on its own. Most roof coatings are not reinforced and are highly susceptible to having the stresses and defects in the underlying roofing system “telegraph” through any unreinforced sealant and the roof coating film. Unreinforced roof coatings are approximately 8.5x weaker than reinforced systems. Reinforced roof coating systems often are Class 1 FM 4470 approved that can function both as a stand-alone roof system and as a recover to an existing low-slope roofing system. Since seams are one of the primary points in a commercial roofing system to leak, the seamless aspect of a roof coating is an attractive feature. 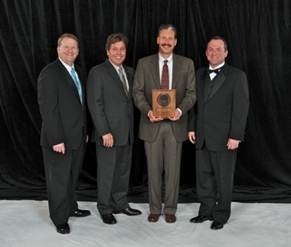 The other side of that coin is that roof coatings must depend on adhesion to the existing roof for attachment. In order for the existing roof to be ready to accept a roof coating, it must be thoroughly cleaned, dry, and able to be well adhered to. Typical preparation required for professional quality waterproofing coatings include pressure washing after application of special heavy-duty detergent and often application of an adhesion promoting primer. Not surprisingly, these are extra steps when compared to installation of a new single-ply roof. Most roof coating manufactures call out in their application instructions the conflicting goals of thorough pressure washing and keeping water out of the splits, cracks, open seams, or other areas that are the problem in the first place. Often the leak points are also dirty enough that effectively sealing them before pressure washing is not very practical and certainly time-consuming. Keeping pressure washer water out of the existing roofing is for much more than trying to prevent leaking into the interior of the building. 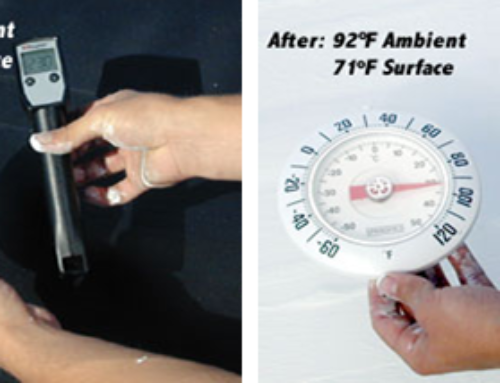 Because some roof coatings, especially those most resistant to water penetration, are not “breathable”, having moisture in the existing roof assembly prior to application of the roof coating creates the significant problem of eventually having blisters from the moisture trying to exit the roof. 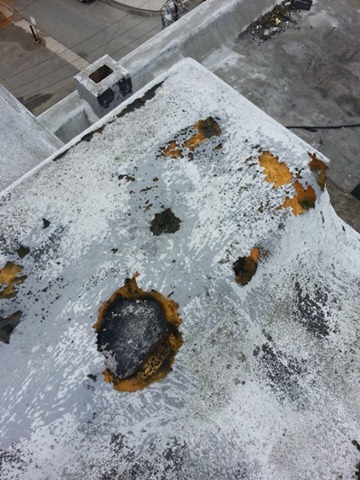 These blisters are highly susceptible to rupturing and a primary leak point in roof coating systems. The other aspect of adhesion which is of significant concern is how well the existing roof is still adhered to the building itself. 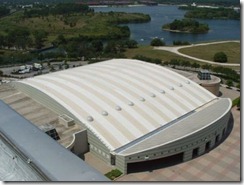 Whereas an existing mechanically attached roofing system (a system in which the roof membrane itself and the underlying insulation, if any, is attached with screws to the metal, wood, or concrete roof deck that sits atop the building’s ceiling joists) is reliably secured to a building, an existing fully adhered roofing system that is being considered for a roof coating may well have far less attachment to the insulation and/or the building than when it was originally installed. 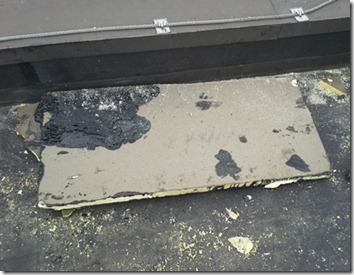 A similar situation can occur when ISO is adhered with asphalt or foam adhesive to a roof deck. Over time it is not unusual for the adhesive to loose some or all of its holding capability leaving the roofing membrane attached to the top side of the ISO board but the board having little attachment to the roof deck. Of course that assumes the ISO was even properly attached in the first place. In this picture, ISO that supposedly had been fully adhered to the roof deck with hot asphalt under the observation of a general contractor, an architect, and state inspectors, was in fact never even close to fully adhered. Many existing commercial roofing systems consist of old Mod-Bit modified-bitumen torch-down roofing which itself primarily relies on weight for attachment as the roofing nails used in the base sheet provide little withdrawal strength. Here, in high winds that didn’t damage other buildings in the same area, the Mod-Bit roof on this building let loose and left a large area of the building exposed to water damage. Another aspect of thickness that is especially important to low-slope roofing is consistency. Whether a roof coating is sprayed, rolled, or brushed on, the likelihood of the mils fluctuating outside the range specified by the manufacturer is fairly high even with the best of applicators due to the inconsistencies inherent to the site-applied aspect of the process. The only way to really ensure the minimum required mils are applied is to apply somewhat more coating than required but doing so also increases both material and labor costs as well as the chances of pinholes forming in the newly applied roof coating. 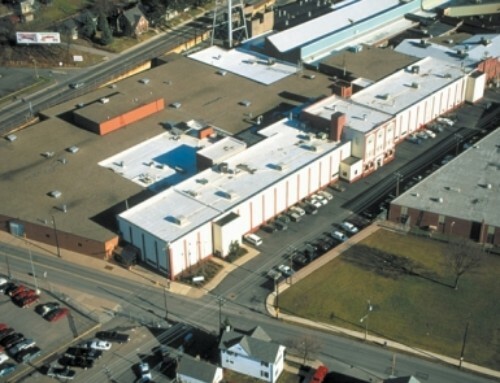 If your commercial roof has a slope of ¼” per foot (a 1/12 slope) or more, has interior drains or an edge-mounted gutter, does not use scuppers for primary drainage, and has no ponding water (water that is still present after 48 HR since the last precipitation), you have the drainage characteristics needed (and sometimes required by the roof coating manufacturer) for most commercial roof coatings to function as designed. Some more forthright roof coating manufacturers require ½” per foot (a 2/12 slope) in order to be eligible for more than a 5 YR warranty. Each of the drainage characteristics needed for a roof coating to perform properly are frequently not all present on low-slope roofs and are often on the expensive side to correct on an existing roof. 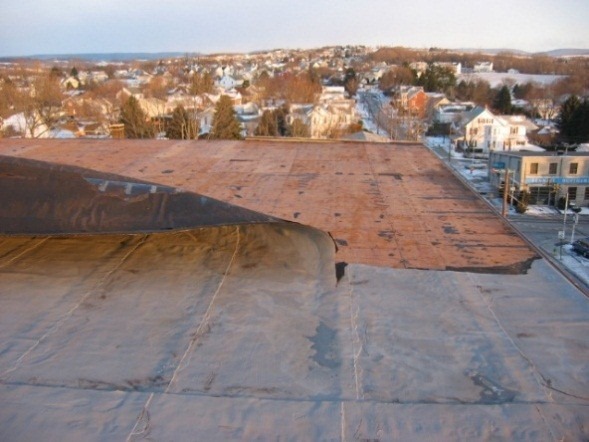 One common approach to trying to correct drainage problems on an existing low-slope roof is to add a layer of spray polyurethane foam before the roof coating is applied. Often though, the SPF is not an even surface and does not facilitate the needed drainage nearly as well as advertised. 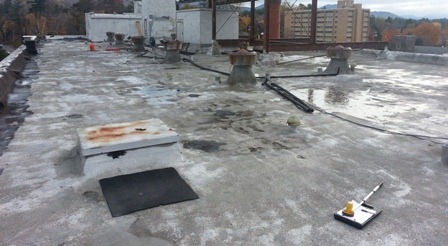 On this commercial roof, many “birdbaths” or small puddles of ponding water are present on the uneven spray polyurethane foam SPF surface. Birds also come into play on some SPF with roof coating systems because they often feel the need to peck through the surface of the roof coating into the SPF creating holes in the roofing system. And while the closed cell nature of spray polyurethane foam SPF is advertised as being waterproof in and of itself, there are plenty of low-slope roofs with wet SPF on them. Some solvent based roof coatings such as butyl, silicone & urethane are better able to resist leaks from ponding water, but they are also not breathable meaning that any moisture already within the existing roof system will not be able to get out through the roof coating. When the drive from any moisture in the existing roof meets the resistance of the roof coating, the roof coating will eventually blister. The blisters, especially in unreinforced roof coating systems, will often rupture allowing bulk water to enter the existing roof assembly and building. Trapped moisture in unvented flat roofing systems is not unique to roof coatings. Blisters in BUR built-up roof systems go all the way back to moisture being present during installation. Acrylic roof coatings are not able to withstand ponding water and will emulsify, creating a hole in the waterproofing coating. Some roof coating manufacturers consider the need to re-apply a roofing coating in areas of the roof that pond water a maintenance item but in reality it is a repair that may or may not be able to be properly made at the time the roof starts leaking based on the season, the weather, and how wet the roof system becomes where the leak has occurred. Do roof coatings really save money? The biggest reason most building owners are interested in roof coatings is that they are often marketed as being a less expensive way to a “new” roof (“your roof reborn” or “restore your roof” are common tag lines). As in most cases though, reality is somewhat different than the advertising. While unreinforced roof coatings, if applied while a commercial roof is still in good shape, can extend the life of the current roof and are often initially less expensive than a new roof, what you get for your money is far different in a number of important aspects. One primary attribute of a new roofing system is that it has a ply component to it. Single-ply roofing systems such as EPDM, TPO & PVC are, as the name implies, comprised of one stand-alone layer of roofing membrane. Additionally, but of fundamental importance, is that single-ply membranes are manufactured under factory controlled conditions vs. roof coating membranes are made on-site. The majority of roof coating systems are unreinforced and merely an addition to the existing roofing membrane. 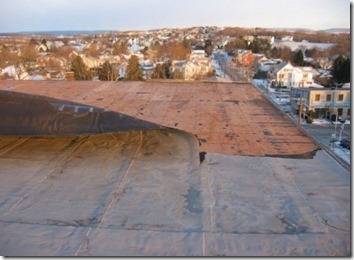 They not able or approved to function as stand-alone commercial roofing systems. The primary reason many people are under the impression roof coatings are an inexpensive way to repair a leaking roof is that many roof coatings are inaccurately marketed as waterproofing when they are primarily reflective. The ability of most retail roof coatings to “seal hairline cracks and pinholes to increase water resistance of the roof and prevent leaks” is about the same as most latex paints. A large part of the potential cost savings of professional quality waterproofing roof coatings is predicated on not having to tear-off an existing roof the existing roof. And while not having to tear-off an existing roof will save on average 1.50/SF-2.50/SF in tear-off costs alone, many existing roofs are not torn-off anyway. 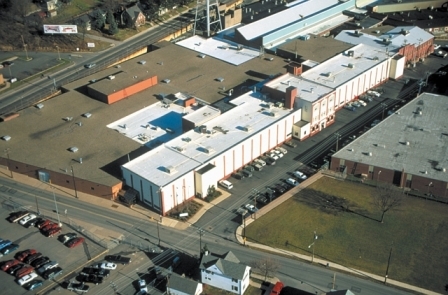 Although the IBC International Building Code specifies low-slope roofs with two or more systems be torn off down to the deck, most municipalities recognize that the older BUR built-up roof systems that primarily drove this requirement (typically weighing 8-12 LB/SF) were far heavier than most single-ply systems weighing .25 LB – 1 LB/SF and so allow a maximum 8 plies being the nominal equivalent of two 4-ply BUR systems. If however you are in a municipality that would require the existing roofing to be torn off before installation of a new single-ply roofing system and the existing roof is suitable for a roof coating system, the roof coating system may be less expensive even over a 20 year period. Labor costs are often higher on reinforced waterproofing roof coating systems than for traditional single-ply systems due to the time required for cleaning and prepping the existing roof, embedding the reinforcing fabric, and applying the 3-5 individual coats of primer, foundation, and finish. On a cost per mil or cost per year basis, professional quality reinforced waterproofing roof coatings are usually more expensive than some single-ply roofs. In fact, the better manufactures of these roof coating systems often do not claim to be less expensive than other roofing systems, but better. For some applications, they do have one or more clear advantage. Perhaps not surprisingly, most retail roof coatings have material only warranties. Material warranties merely provide additional quantities of the roof coating should a manufacturing defect in the coating be able to be proved. This is a very high threshold and very limited responsiveness to be sure. Some professional quality waterproofing roof coatings have system warranties available at additional cost, covering both materials & labor, but they’re often split in responsibility resulting in the very real possibility of the manufacturer and contractor pointing a finger at each other. Many professional quality waterproofing roof coatings have a 10 year or longer warranty implying an effective life of at least that long but due to the many variables affecting adhesion, roof drainage, DFT dry film thickness, moisture content of the existing roof, condition of the existing roof membrane, and because roof coating warranties are so weak, assuming a shorter effective life than the stated warranty is often prudent. In fact when viewed from a truth-in-advertising standpoint, the warranty term of many roof coatings is more than a bit suspect. While the Southwest and much of the Western US offer solid climatic conditions for the application of roof coatings due to their typically longer periods of dry, warm weather and lower number of deciduous trees, in other areas of the US these factors as well as wind have a significant impact on the application of roof coatings. First and foremost, having the total number of warm sunny days needed to apply a roof coating system doesn’t mean much if they are separated by frequent rain which is often the case in the East, South, Midwest and Northwest. Obviously this is compounded if the roof substrate is already wet and/or the roof drainage is less than optimal. Leaves, seeds, and nuts from trees can often throw a fairly significant monkey wrench into freshly applied roof coatings resulting in not only aesthetic but film thickness issues. Wind often makes this situation worse and promotes some significant challenges of it’s own. It’s not unusual for roofs that are otherwise suitable for coating to have significant drawbacks due to overspray concerns. 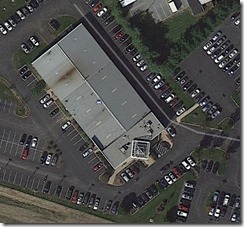 Here’s a building with a leaking metal roof that would greatly benefit from a waterproofing roof coating, but the usage of the property as a car dealership with service department parking adjoining the building make the 3-5 coats of roof coating that would be sprayed on more than a minor issue. The temporary windscreens that would be necessary for such an application add both labor and material costs and cannot be counted on to be 100% effective. Not surprisingly there are situations where some roof coatings are the go-to roofing system for the task at hand. 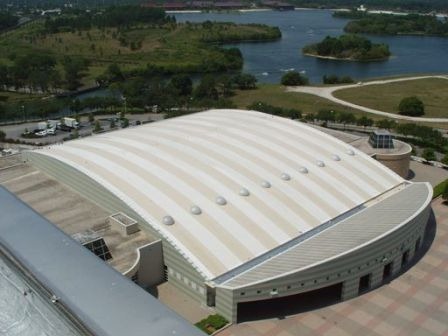 The alternating colors of this hotel convention center roof in Florida were achieved through a reinforced roof coating system manufactured by Quest Construction Products’ Hydro-Stop division http://www.quest-cp.com/premiumcoat-system. 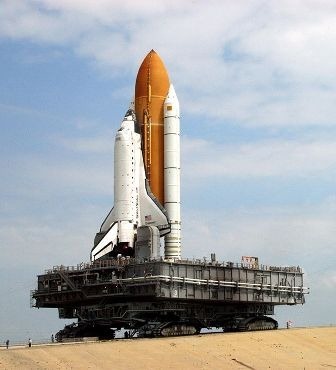 The same system was used to fix an ongoing leaky roof at the University of Hawaii NASA Infrared Telescope Facility and on NASA’s space shuttle crawler. It is also intended for more common uses such as this twin home in Drexel Hill, PA. In summary, the best low-slope roofs to use a professional quality waterproofing roof coating on are in good condition including a dry substrate with few leak points, have good drainage including no areas of ponding water, and are in locations that have dry and warm weather for contiguous periods long enough to dry out the existing substrate if it has been wet and complete the project without airborne contaminants such as heavy dust in industrial areas or leaves or seeds from adjacent trees. The safest way to ensure a roof coating system will stand the test of time is to use a reinforced system. Kevin Valenta is a member of the Roof Consultants Institute http://www.rci-online.org/, has played an active role in the commercial, residential, and regulatory sectors of the construction industry since 1984, and is the owner of Manchester Roofing Systems. 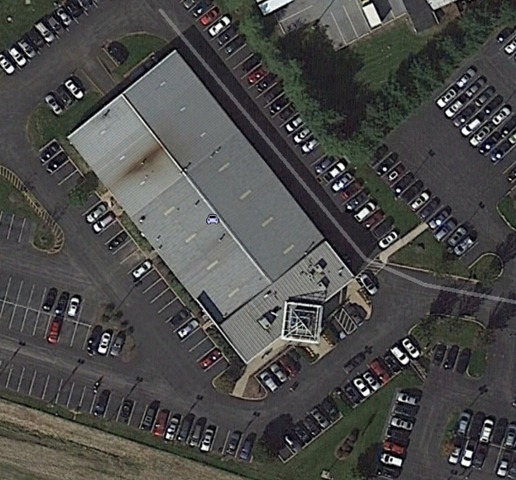 Based in West Caln, PA on the eastern edge of Lancaster County, Manchester Roofing System’s location affords both low-overhead & good highway access to a large portion of the mid-Atlantic region Including PA, NJ, DE & MD. By Kevin Valenta|2017-04-14T00:20:36+00:00November 10th, 2014|Roofing|Comments Off on Roof Coatings – Do They Work Well? Do They Save Money? Do you have a Leak-Proof ENERGY STAR® Roof?